"Answer these two questions really quickly: Are you a developer? 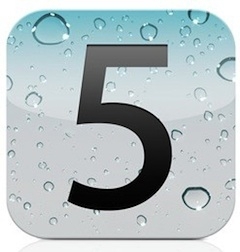 Are you running the iOS 5 beta? If you answered no to the first question and yes to the second, then this post is meant for you. You are doing it wrong, and on behalf of everyone everywhere, please stop." I'm not brave enough to mess around with true beta releases, I'd rather wait until all the bugs are worked out (or mostly worked out) before I install something like this on my machine. But apparently that isn't the case for everyone, so if you are contemplating doing so, make sure you read this article. If you are a developer and that is your bread and butter, then by all means have at it, but I certainly don't think this guy was a true developer since he fell victim to something that apparently was common knowledge, namely that the beta expires after a certain time. How about you, do you ever install beta versions to experiment?